According to Urban Dictionary and Futrama's Bender, "Cheese It" means to flee or escape - in this case, it means to escape into an eye-rolling heaven of salty, crunchy cheesiness. My original intent was to create a homemade version of a certain trademarked cheese cracker that shall remain nameless. But I screwed up. 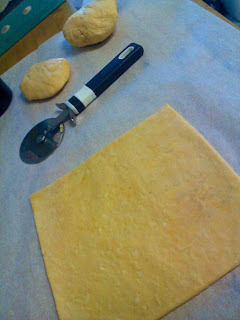 And as it was with potato chips and the Slinky, my mistake lead to something far better than my intended result - a cheese pastry with a slight crunch around the edges, and a soft, bread-like center. I gave it to my friends. I asked if it tasted like a certain unnamed trademarked cheese cracker. "No..." they said, "Better." 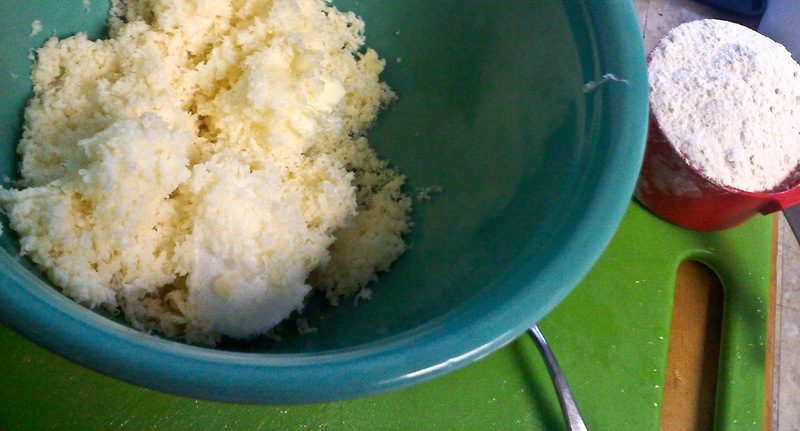 2) A little at a time, mix in the flour and the ice water. 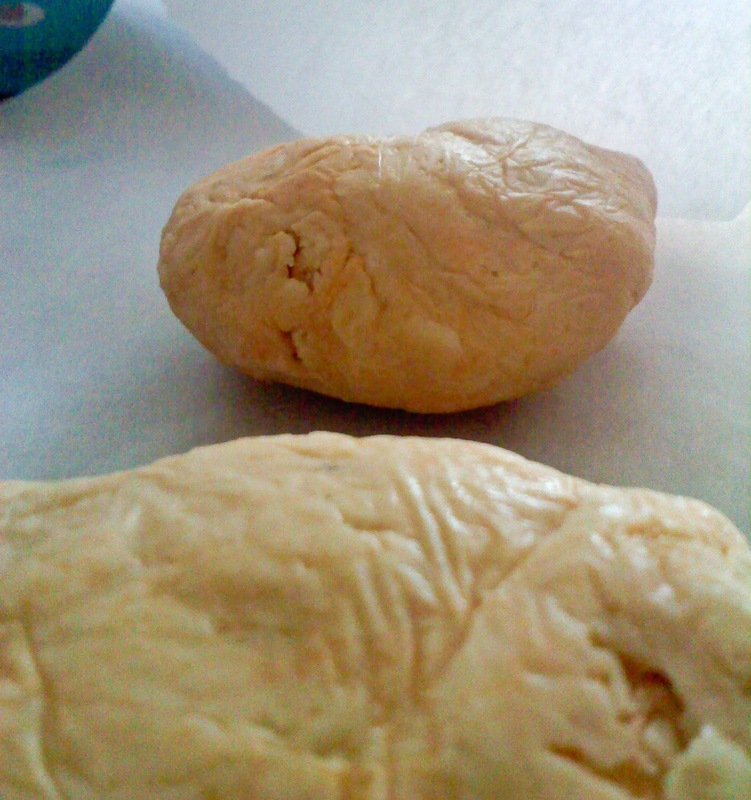 By the time the flour is fully mixed in, the dough should be wet enough to manipulate, but dry enough to stay together in tightly packed patty. 3) Make two tightly packed patties, wrap them in plastic wrap, and place in the fridge for at least 30 minutes. PREHEAT OVEN TO 375. 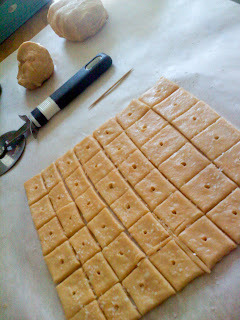 5) This is where the difference between the cracker and the pastry comes in - if you roll the dough into a 1/4" square, you'll have pastry. If you roll to 1/8" or less, you'll have crackers. It's delicious either way, but I definitely prefer the pastry. 10) Move the dough to a LARGE greased baking sheet and place in oven for at least 15 minutes. 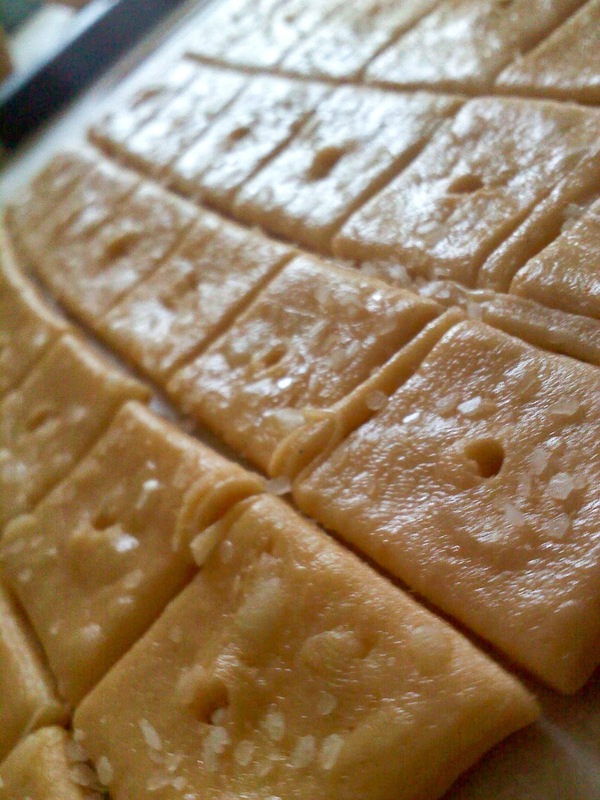 Crackers should be crunchy, pastries should be fluffy and lightly browned. And that's all there is to it. Yes, you could just buy cheese crackers at the store, but try this, taste it, and you'll see why these delicious snacks are worth the extra effort.